Nvidia is set to announce their new Pascal-based GeForce graphics cards Friday night (6pm PT via Twitch), including a flagship card that's expected to be called the GTX 1080. But before Nvidia can even reveal the specifications of the card, leaked 3DMark benchmarks have been posted by VideoCardz. In 3DMark 11's performance benchmark, the purported GeForce GTX 1080 posted a graphics score of 27,683, while in 3DMark's Fire Strike Extreme benchmark, the card scored 10,102. Compared to a stock-clocked GTX 980 Ti, the GTX 1080's performance is around 25% faster, although overclocking the 980 Ti can close that gap. 3DMark gives us a sneak peak of the card's specifications, too. We're looking at 8 GB of GDDR5X with an effective clock speed around 10,000 MHz (320 GB/s), and a core clock speed that can boost up to a huge 1.8 GHz. 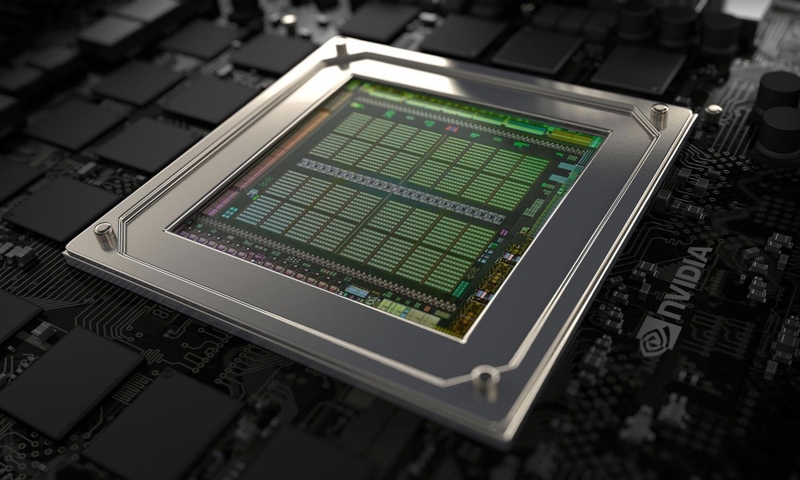 The GPU featured on the GTX 1080's board is a Pascal-based GP104 built on a 16nm process, so it's not the fully unlocked GP100 seen on the Tesla P100. These performance figures and specifications won't be confirmed until the card is revealed some 24 hours from now, so there is a chance that the 3DMark scores leaked by VideoCardz are from an overclocked GTX 1080, although Pascal is still expected to bring a significant increase in performance. Tomorrow's announcement is set to be a 'soft launch' for the new Pascal GeForce cards, with actual availability scheduled for a later date. In any case, it will be good to finally get some information on what the next generation of graphics cards will involve and what AMD will have to compete against in 2016.